The 5th instalment of the ARFAI National Championship has been held in Howrah Maidan, Kolkata at the Sailen Manna Stadium. The event boasted 12 teams across two divisions, with the best 200 players from across the nation representing seven Indian states. With VFL/AFL legend, Kevin Sheedy, on hand to promote the game in India and mingle with the excited players and personnel at the event, last weekend’s tournament was a huge success. 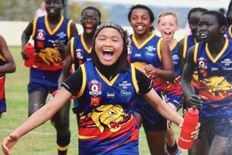 Late last year the ABC reported about a young girl in Toowoomba who was taking Australian Rules football by storm, and in the process taking apart cultural and gender stereotypes to be an amazing role model and inspiration for all young, aspiring football players. Here is the story of Zimra, as reported by Allyson Horn for the www.abc.net.au website. Ten-year-old Afghan refugee Zimra Hussain is tearing up football fields across south-east Queensland, her hijab flying in the wind. Zimra and her family are part of the Hazara, a group heavily persecuted in Afghanistan by the Taliban. They arrived in Australia in 2014. She played her first game of football less than a year ago, as a new resident of Toowoomba on the state's Darling Downs. Nick Bowen from the www.afl.com.au website reports that Essendon’s legendary coach has taken the initiative to push for his club to pursue an AFL match in India. With former head of football in India, Sudip Chakraborty, now at the club, there is a real possibility that the club could link with another to bring a match to the nation sooner rather than later. KEVIN Sheedy will lead a contingent of Essendon officials to India as the Bombers seek to tap into the growing Indian community around the club and, longer term, eye hosting an AFL game on the subcontinent. The Bombers' party will fly to Kolkata, the capital of West Bengal, where they will attend the Indian AFL national championships, after which Sheedy will select the team that will represent India at the International Cup in Melbourne from August 5. In a move which will see our great game reach more casual Chinese viewers than simply the attendance at the game, the AFL is negotiating with local Chinese broadcasters. 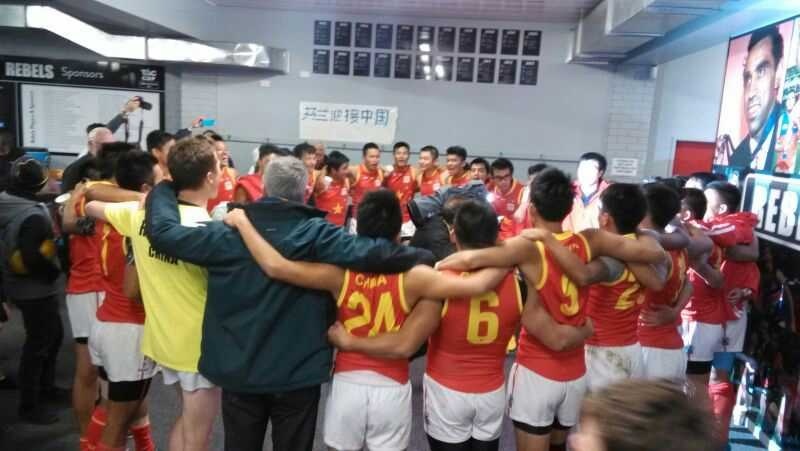 It is hoped that the Gold Coast versus Port Adelaide match might attract an even larger market which, in turn, gives greater opportunities to grow the game in China. The following article from Matt Thompson at www.afl.com.au looks at this development for the historic game next season. CHINESE broadcasters are in talks with the AFL to telecast next year's premiership season game in Shanghai to the local population. Gold Coast and Port Adelaide will face off at the Jiangwan Sports Centre in round eight on Sunday May 14 in the first home and away game to be played in Asia. Matthew Agius has reported on the Port Adelaide Power website, www.portadelaidefc.com.au , that a recent visit to China has the club better prepared and well placed ahead of the historic match against the Gold Coast Suns in Round 8 next season. WHETHER it was Ken Hinkley taking on former world No. 1 table tennis champion Wang Liquin, presenting Australia’s game to a congregation of China’s leading media or educating Shanghai schools about Australian Football, Port Adelaide’s promotional tour last week was warmly received according to club CEO Keith Thomas. 2016 AFL Japan season concludes - the winners. In slightly late news, the Tokyo Goannas wrapped up the 2016 AFL Japan season with a 40 point win over the Senshu Powers on Sunday November 27, held under lights at the Yokohama Country & Athletic Club. Across the weekend just gone the season was wrapped up with the 2016 AFL Japan Awards night including the highlight of the evening - the naming of the 2016 'Peter Wilson Medalist'. Looking ahead AFL Japan is setting sights on Melbourne 2017 and the International Cup in August next year. AFL Japan are taking registrations of interest and have set a December winter training schedule with more news to come with respect to January and February. The build up begins. 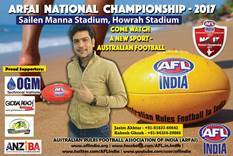 1st National Australian Football Championships of Pakistan. This article is from AFL Pakistan, edited by Harley Vague. The 1st National Australian Football Championship of Pakistan where held on 27th~28th October 2016 played at the Jinnah Stadium ,Pakistan Sports Complex Islamabad. Ten teams from all over Pakistan participated. 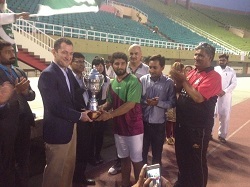 The final match was played between the Islamabad Tigers and the Rawalpindi Loins. In attendance was the Australian High Commissioner to Pakistan as chief guest and well as the Ambassador of Tajikistan, the Ambassador of Portugal and diplomats from Russia, Brazil, Oman and other dignitaries. The mooted Port Adelaide match in China in 2017, the first outside Australia/New Zealand for premiership points has officially been given the green light. Port Adelaide will play their away match hosted by the Gold Coast Suns in Shanghai. The match will take place on Sunday, May 14. The round eight clash was revealed this afternoon in Melbourne. The match will be show live into Australia at 3.20pm Melbourne time. The contesting of the All Asia Championships on Friday 14th October saw the debut of a new International Australian Football entity, Team IndoChina. The Team IndoChina concept is similar to the European Crusaders in that it draws local Asian players from the Indochina Nations that are currently unable to field a full National side. This first edition of Team IndoChina was formed with players from Vietnam, Cambodia, Laos and Myanmar. The Philippine Eagles have defeated the Singapore Wombats to win their first ever Asian Championships in spectacular fashion, with a come from behind win in torrential rain at RMIT Vietnam's Saigon South Campus. A record 520 registered players, including an ever-improving 70 local players representing 13 clubs from across Asia arrived in Ho Chi Minh City, Vietnam for the biggest two-days of footy Asia has ever seen. The event growing to a second day for the first time in the 17-year history of Asian Champs, with the Indonesia Garudas winning the inaugural All-Asia Cup on the Friday.